The wind has changed, there’s a nip in the air, evenings are cooler as the sun sets earlier every evening, and students pack up their backpacks and head back to the hallways of learning. There’s a competition between the audible sigh of students across the nation and the parents who are secretly (or not secretly) glad to kick restless youth out of the house. There’s nothing like shopping for new school supplies, picking out the first day outfit, and taking the first day of school picture on the front porch. But before I completely lose myself in nostalgia, let me get to the point! 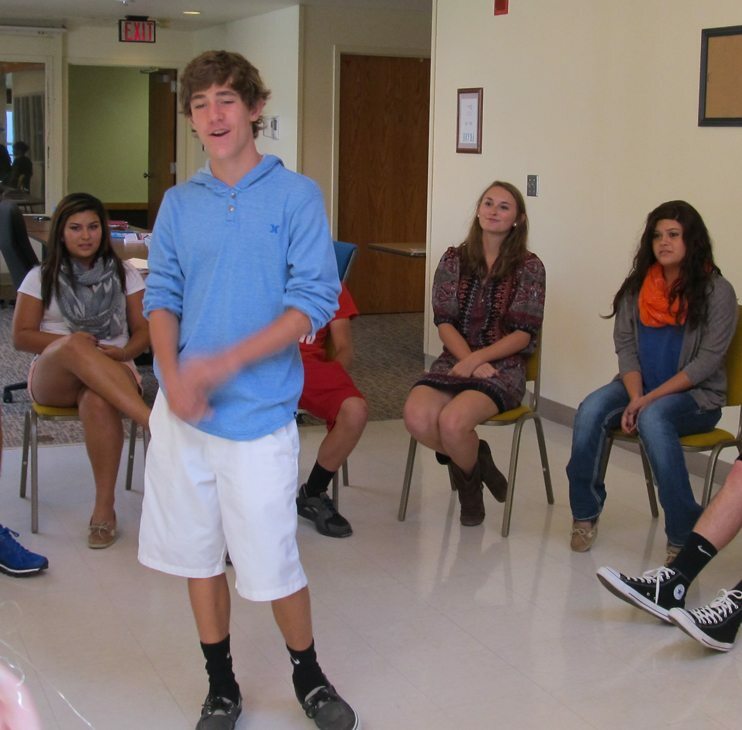 The resumption of school also means the resumption of Buffalo County’s Youth Advisory Board (YAB). The Board took a hit this past spring when 13 seniors graduated and moved on to new chapters in their life. A couple of members also felt they could no longer continue their commitment to the board, leaving over half of the seats empty! From left: Jenna Martin (Pleasanton), Griffin Mims (Kearney), Madison Hamik (Kearney), and Lani Martin (Pleasanton) play an ice-breaker game at the first meeting of the 2012-2013 school year. YAB has already taken one round of applications and has begun to fill its empty seats, but there are still places vacant! YAB strives to keep equal representation from each of the Buffalo County Communities and the Board is looking for youth from Kearney High School, Horizon Middle School and Sunrise Middle School (4 empty seats), Elm Creek Public School (1 empty seat), Gibbon Public School (3 empty seats), and Sumner-Eddyville-Miller School (2 empty seats). Don’t deny it, they look like a fun group don’t they? And now that you’re interested, you want to know where you can go for more information, right? Well YAB has their own web site, so check it out at www.bcyab.org and learn about what YAB does! The application is due at Community Partners’ offices by October 4th, so hop to it!